Since 1924, Brandes has been providing creative, cost-efficient services to meet all our customers’ printing and promotional needs. We offer a broad range of products to choose from, and the use of state-of-the-art Heidelberg printing presses for larger runs, so we can guarantee quality offset printing that’s not part of any gang. Unlike large commercial printers that combine many jobs on one press sheet, we print your job by itself, giving it all the attention it deserves so there’s no need to compromise color, paper choice or quality. You can order the quantity you actually need with the varnish or coating that you prefer. 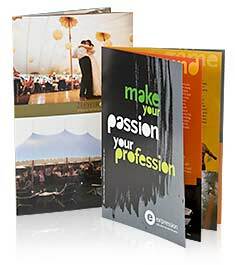 At Brandes Printing you are always our top priority — we wouldn’t be here without you. Offset printing has been around since the late 1800s and still has a strong presence in today’s society. Reliable and affordable with color consistency you can count on, four-color offset printing is often the choice of graphic design professionals because of its versatility. Unlike inkjet printers or color photocopiers, offset printing provides accurate, detailed, brilliant reproduction of your originals at a low cost-per-sheet. Want to highlight your new logo or enhance your brand? Rely on Brandes’ outstanding Spot Color process! Your message will POP – and our expert staff will make sure all aspects of your job are just what you want. The use of Pantone spot colors can often save you money and creates brighter more vibrant results that often cannot be achieved with four-color process printing. 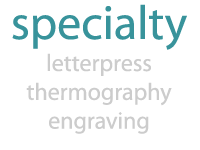 Although Brandes Printing prides itself on keeping up with technology there is a special place in our hearts for old school techniques such as letterpress, thermography and engraving. Brandes’ specialty equipment gives you an array of options to help make your final product stand out from your competitors. The use of these techniques still has a place in the modern world and can add another dimension to your finished product. Quality color printing is the first step toward success — but not the only step. We at Brandes understand that no job is complete without follow-through, so we give just as much attention to folding, scoring and perforation to create pamphlets, brochures and tear-off coupons that look, and perform, exactly the way you want them to. 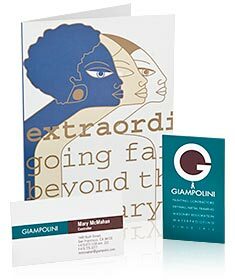 Innovative bindery can turn even a simple printed piece into one with impact and vitality. COPYRIGHT © 2018, BRANDES PRINTING COMPANY, A DIVISION OF ACC ENTERPRISES, INC.